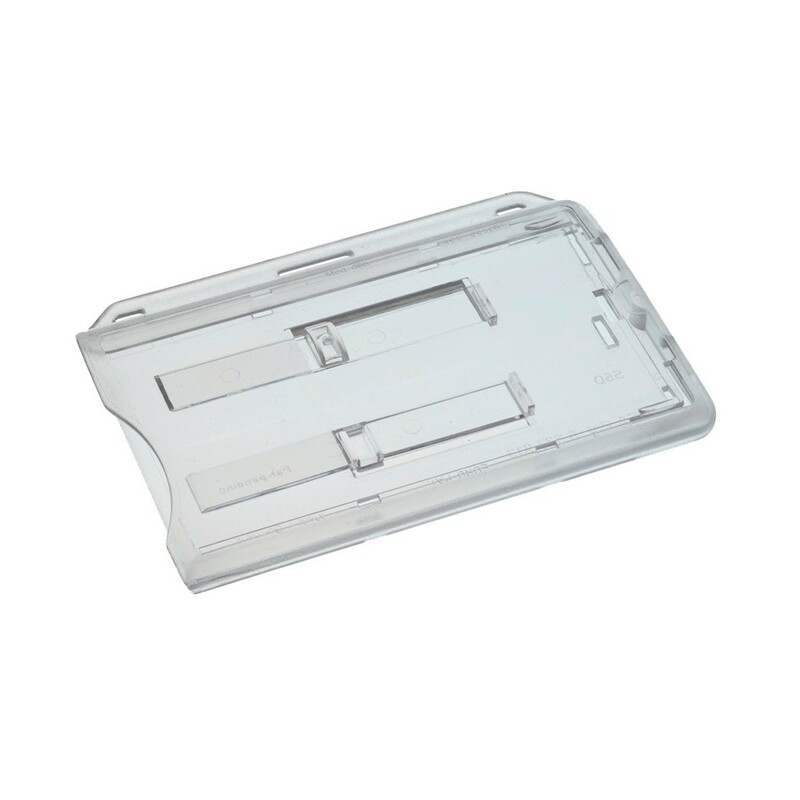 Keep your cards safe in this rigid polycarbonate enclosed holder with a slide ejector for easy card release. 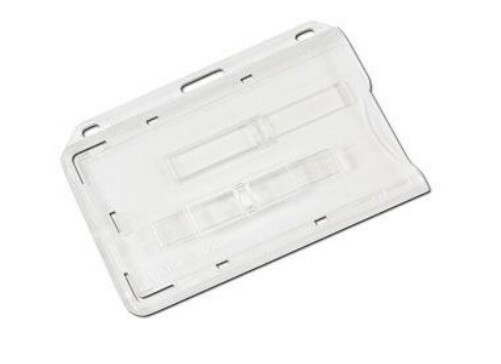 Perfect for swipe cards and cards used regularly. This holder fits a standard credit card sized ID cards, with double visibility so you can see both sides of the card, or 2 cards back to back for simple access control and identification. There is a slot for easy attachment to a lanyard or strap clip. Buying in Bulk? Enjoy great savings when you order over 10,000 units. Please call our sales team on 0800 408 1471 for a quote.